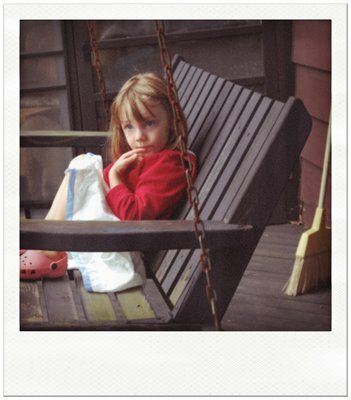 August is meant for relaxing and hanging out on the porch. At least, that’s what we had in mind for this skirt. It’s about as easy to sew as a skirt can be, since it’s made from a single width of fabric. And when it’s finished you’ll still have plenty of time to contemplate the day from the porch swing. 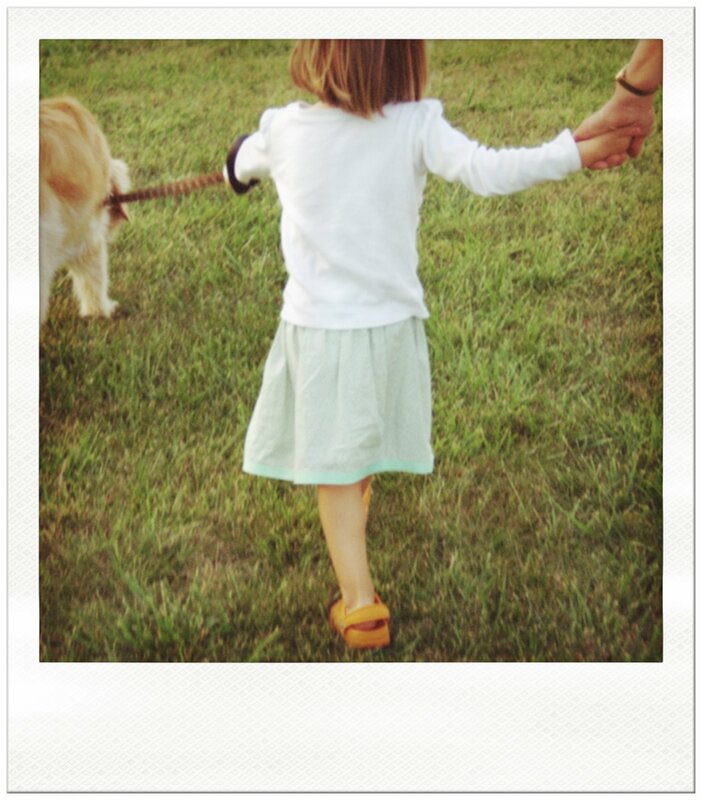 We’ve been testing it on several little girls, and it’s perfect for dog walks too. With a simple elastic waistband, it’s also comfortable, which is a crucial element for hanging out during the most relaxed month of the year. But our favorite part is the ribbon at the hem. You can use almost any sort of ribbon in any width you like. It makes a clean finish to the hem, as you can see. 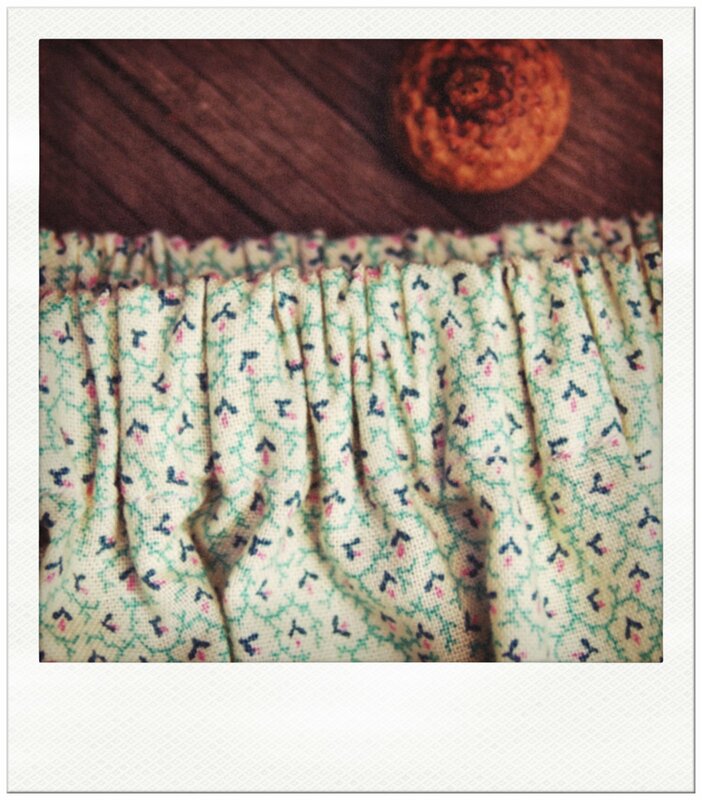 Download and print your free instructions for the Lazy Days Skirt here. We hope you’ll make a skirt or two, and when you’re finished be sure to post photos of your finished skirt (or skirts) to the Oliver + S Flickr group. And then go enjoy the rest of your summer. Maybe you’ll find a hammock to share with your favorite active little girl. Cool! Thanks so much for a free pattern. I have been wanting to try a simple skirt pattern lately and this looks perfect! lovely, and easy. just the way i like it. thank you. Adorable. I love the ribbon hem! 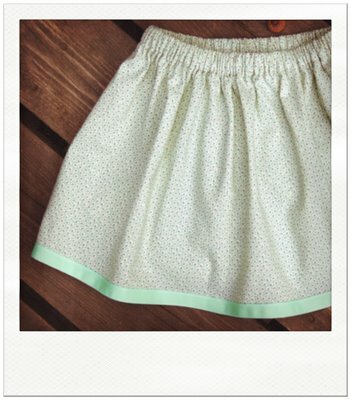 I have been SEARCHING for the perfect and EASY skirt pattern…this is adorable! I can’t wait to make one! Thanks! This is wonderful! Thank you (via Soule Mama today). Thanks so much for the link to the pattern download. I know I could probably work something out myself, but yours are so, so cute, and I really….. don’t have the time for pattern designing right now! Your pictures are lovely too. wow, thank you so much for the pattern, I’ve just made two skirts for my 4 yo and she loves them. I now have to make one for every day of the week apparently. I have photos on my blog if you want to see what I’ve done. Thanks for the free pattern. I have 2 nieces that I would like to make this skirt for. I don’t sew very much but this skirt pattern looks super easy. Thanks again!! I found you via SouleMama also. Thank you for the pattern. I have just made a skirt for my 8yo and she loved it! 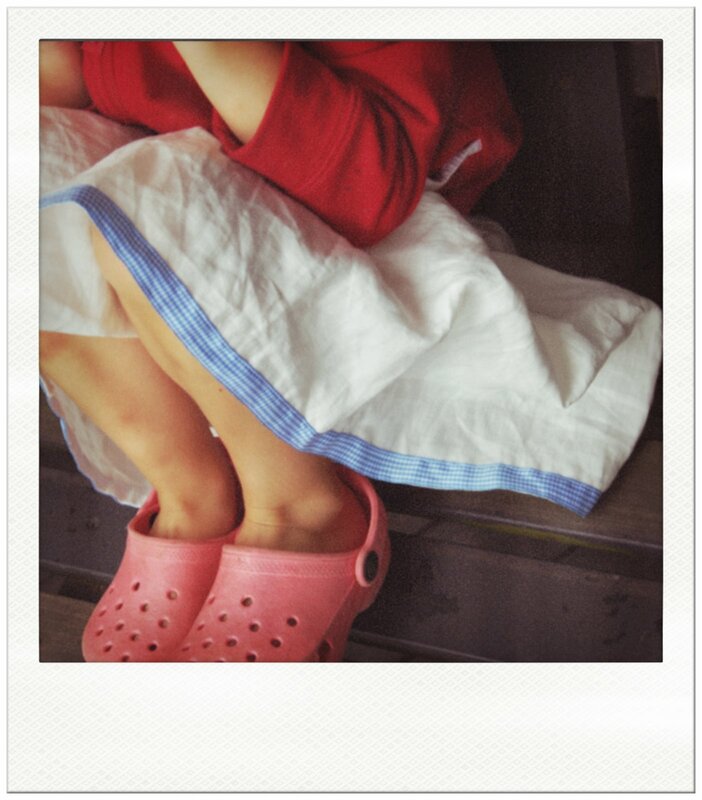 I sewed a skirt for my 10yo daughter. Thanks for the great pattern! I love the simplicity of it. wow… great minds think alike! I dont even have a little girl and im going to make a couple … mmm think that will make a great present for the childrens home up the road from us!! Oh, this is sooo fabulous. Right up my alley, EASY! I can’t wait to make a few. Just finished this skirt for my 6 yr old…Shazam! that was easy, it practically makes itself! THANKS! Can’t wait to make one for my daughter when she gets older. 7 months is a little young for it…maybe make one for me? THANKS! I was looking for a pattern for a simple skirt for my 5 yr old. This is perfect and I made it quickly. It looks lovely. thank you! Just made two for my daughter this weekend. I have barely sewed a stitch in my life and it was easy as pie. Thanks for sharing this wonderful pattern. Thanks for the great pattern! It turns out wonderfully. I posted a picture of the one I made on my blog today, with a link to yours. Thanks! I've made this pattern for my girls (8 & 6) and love how easy it was. Now I'm wondering if I can make it for myself? As a beginner, I'm not confident about any changes in a pattern. What would need to be changed…elastic and length? But how about the fabric width? I dont have any girls and thought I would make a couple for the missionary gal take with her. I dont know the length for a typical child, does someone know a length and apporox how do you know the size the skirt becomes>? These are sweet & sassy, I like! It's been awhile since I've sewn because of a neck injury but this seems like a short & sweet project & the pain is less intense during these HOT summer months! I will definitely send you some pics, if u like. Can't wait to try this with holiday prints for my girls. Thank you so much for posting! Thank you so much for sharing! I made one this afternoon and have plans to make another before the day ends… a quick and easy project that leaves a new skirt in the hands of a joyful child! Thanks again! So pretty but it’s getting on for winter down here in New Zealand. Would it work with a heavier weight fabric? 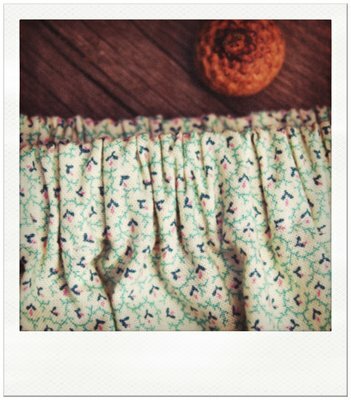 Thank You for the free download-Simply yummy and the hem detail is perfect! thank you for this pattern. I am a novice at sewing but want to make a skirt for my daughter. This is by far the easiest to understand and the best looking skirt as well. thank you for the pattern. it took me about 30 minutes total and I adore the skirt I made for my little girl. instead of folding the ribbon over though I just used the edge of the ribbon as the bottom edge of the skirt. looks great. I just finished this last night. Thank you so much for sharing! 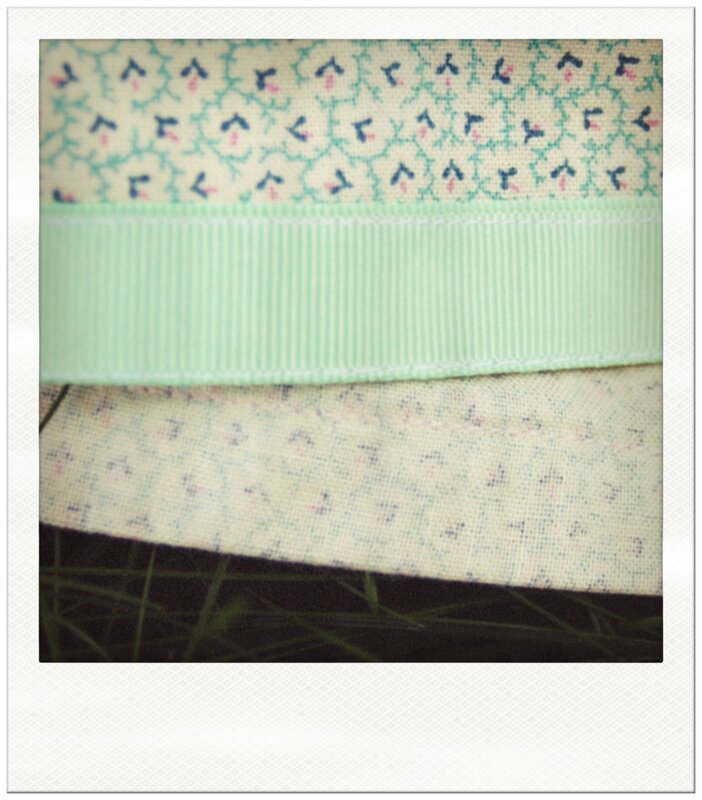 The ribbon hem is such a nice detail. I’ve made a bunch of these for my girls over the past year. They are all wonderful. I love that they are super easy, take less than an hour to make & are really cheap to make too! Thanks!! I love love love this pattern! I made my daughter a Strawberry Shortcake skirt – the first skirt I ever made – from this pattern but I changed up the hem a little bit by adding lace. She loves it! This is just what I was looking for to make quick little skirts to send to some children in Haiti!! Thank you!! I’m relatively new to sewing. Yesterday my birthday gift from my parents was a delicious little sewing machine and this site came along at the perfect time! As bizarre as it may be for a thirteen year old to like to sew, I love how creative and artistic I can be.Today,I experimented with this pattern, downsized for a doll, and it was so easy to follow. I don’t even know how to run our sewing machine (no, really, it’s a vintage White, and I can’t yet make it go consistently forwards with the treadle, so I’m just turning the wheel by hand), and I made one of these for my kindergartener! from fabric and ribbon she picked out! What a clever and clearly written pattern! thanks so much for this simple but inspiring pattern. i’ve been looking for an easy sewing project for my 5 year-old and she’s super excited about this. we’re running out to the fabric store tomorrow! Thanks for the inspiration. My daughter is growing tall, and needs a seasons worth of dresses, ASAP, so this came just in time to save my money and my time! I have made quite a few of these for my three daughters and some as gifts too. The design is so beautifully simple, it allows the fabric to really shine. I’ve even managed to make a few from lovely fabrics that were heavily reduced in price, so each skirt only cost about $2 to make! So many possibilities for embellishing too: ribbon, applique, pockets, buttons, beads, lace peeking out from under the hem. would love to try this one. looks simple. I like!! Thanks for sharing. I’ve made this skirt a few times for my four year old – it is such a satisfying project! Thank you for your simple approach – it really gave me the confidence to have a go. I’ve even made a couple from pillowcases! Thanks for the free pattern! I was looking for a simple skirt for my daughter’s costume and this was perfect.